Many other species resemble it, other false Solomon's seal, Seal-of-solomon Bellwort and mayflower, the Large false Solomon's seal is particularly noteworthy by its large size. Immature fruit, golden and red marbled, are remarkable. 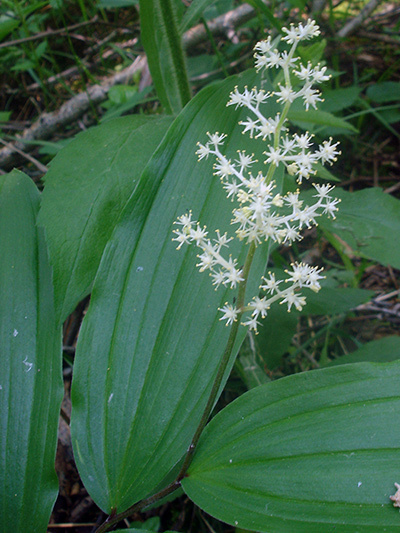 The ovules of the Large false Solomon's seal flowers have two particularities, they can self-pollinate, which is a good thing for that fertilization is not possible due to a malformation of the pollen, and each ovule develops several embryos, although only one reaches maturity.